Hey is anyone out there still reading blogs? I am much more active on Instagram @foodhoe, so I hope you follow me there. Anyways, sometimes a place is so good that it needs a big page dedicated just to them, and that’s why we still write our blogs. 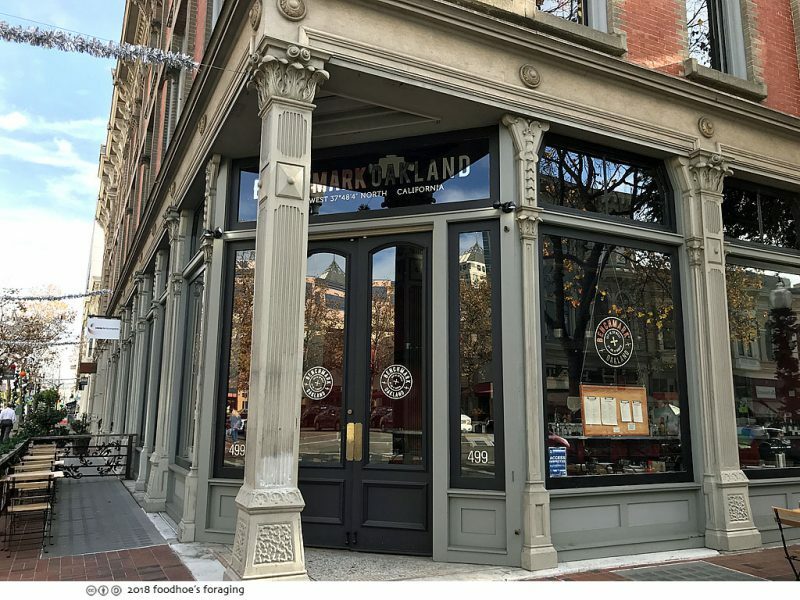 And I really have to tell you about a new pizza place that opened up in old Oakland called Benchmark Pizza. It is seriously our new favorite pizza pie! 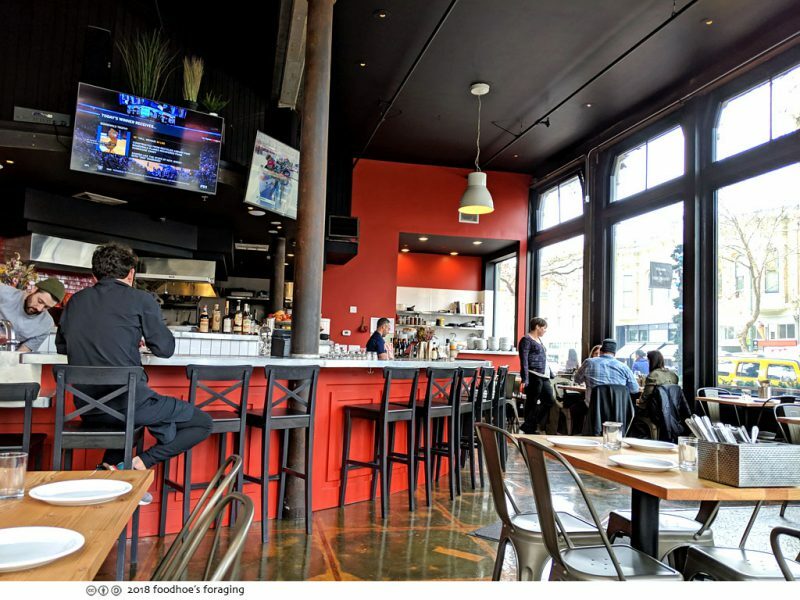 This is their second location, which recently opened in the historic Old Oakland neighborhood which is much closer for me than the original location in Kensington. I met my friend TK for lunch who I’ve known since high school, who I don’t see nearly as often as I’d like. We started off with festive glasses of fizzy Prosecco (Gasparini, Veneto NV). It had been a few years since we last saw each other so we had a lot to catch up on, so I was distracted and forgot to take a shot of the fizzy! 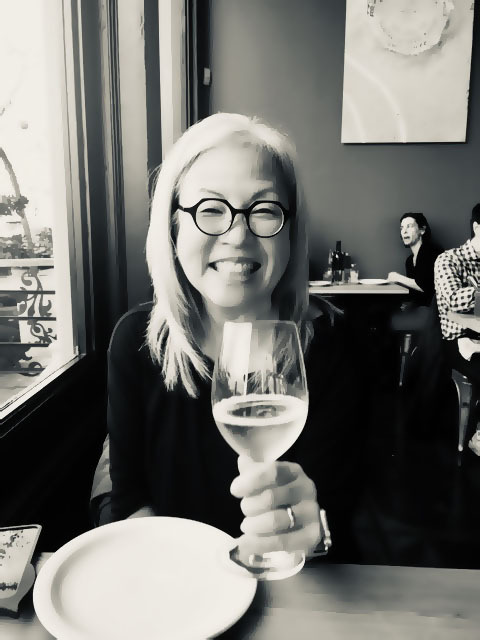 Fortunately, TK took this photo of me as we toasted, so there you go… Also, I was invited to dine there as a guest of the house and I loved it so much that I came back with Mr. K, so this is an extra long post covering several meals! 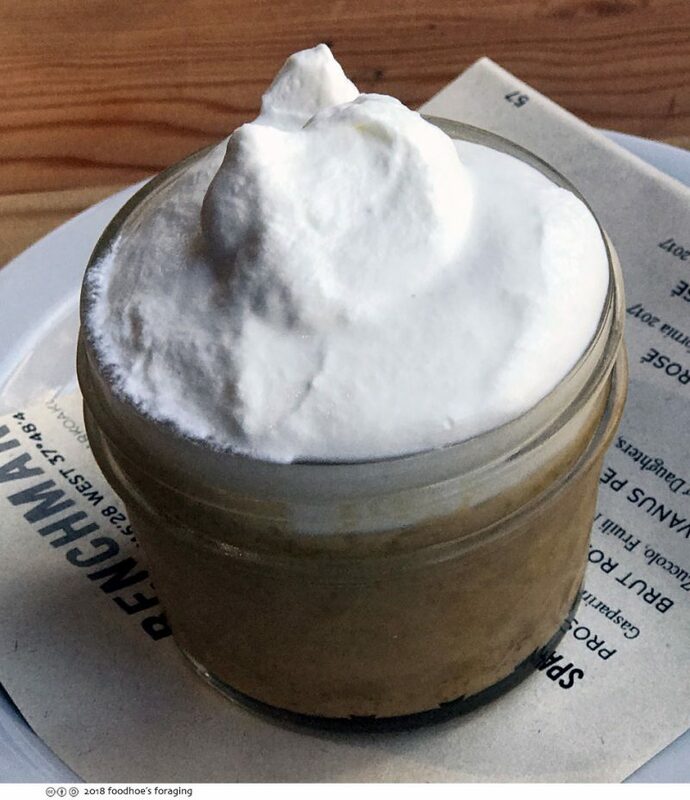 The restaurant is in a gorgeous historic building with high ceilings and the room is filled with light from the surrounding windows. 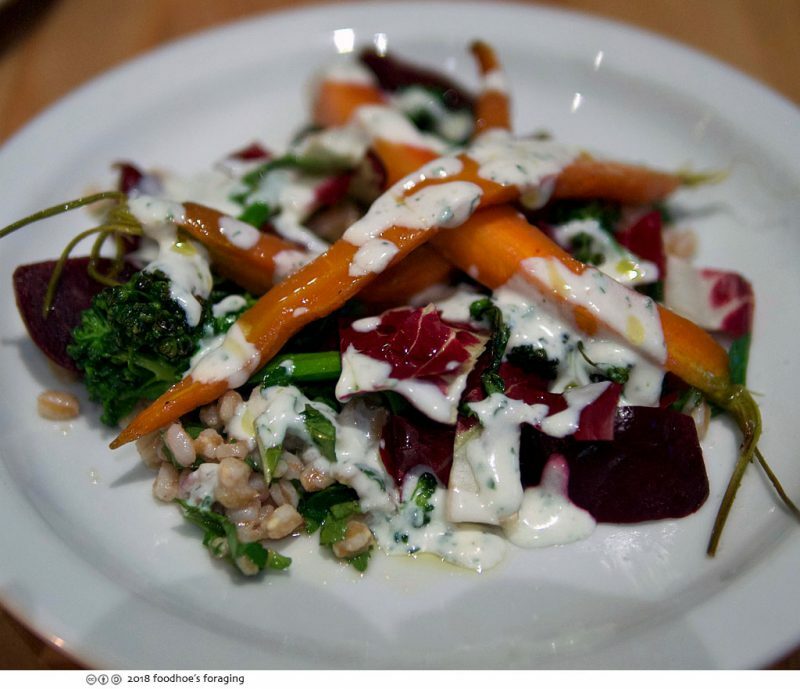 Chef Swanson was previously at Oliveto Cafe & Restaurant and Dopo where he worked as sous chef for six years. Assisting him in the kitchen is Chef de Cuisine Jennifer Moffitt who was most recently at Boot & Shoe Service. 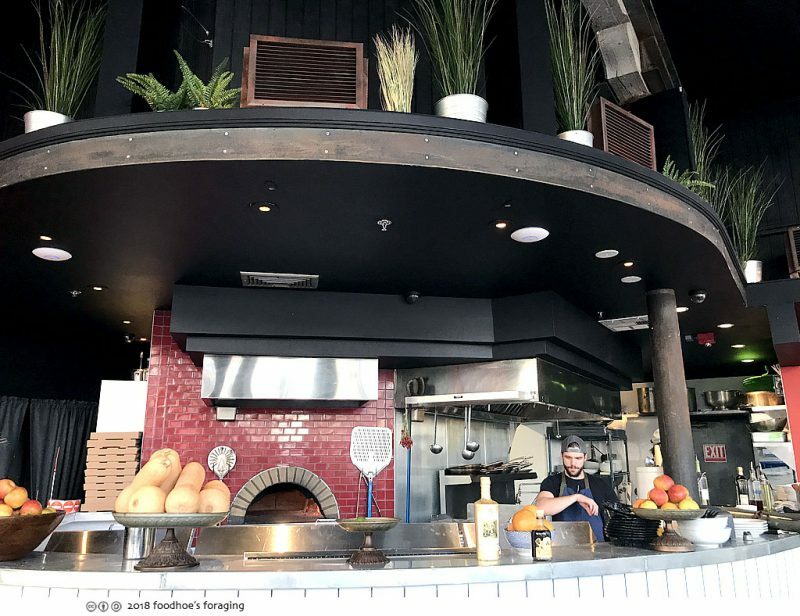 Managing the front of the house is the chef’s wife, restaurant co-owner and Operations Manager Melissa Swanson who worked at Oliveto Cafe & Restaurant and Chez Panisse and who we found to be delightful and charming. The zinc-topped bar has room for 10 people and looks like a cozy spot to hang out and be in the middle of the action. 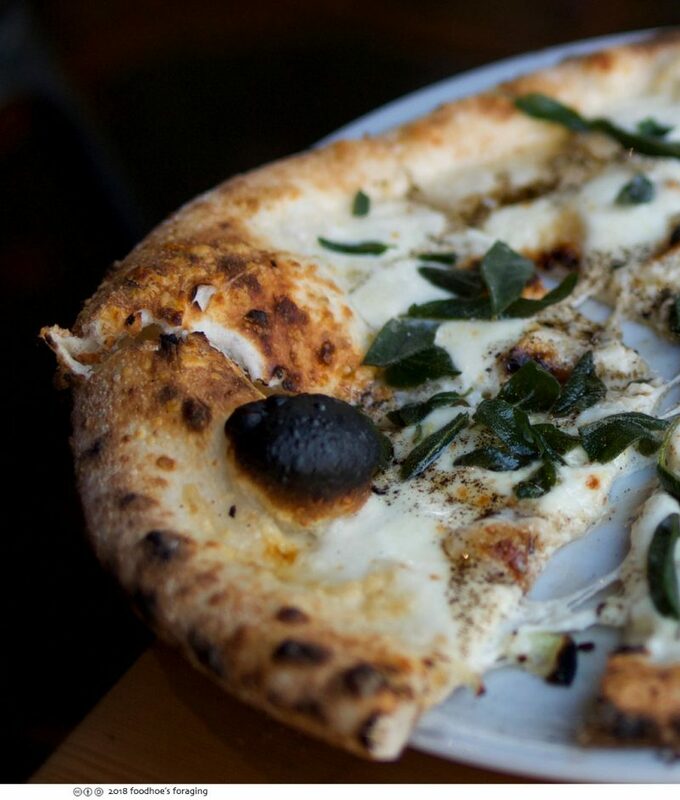 Our server recommended the Fried Sage pizza ($17), made with fresh house stretched mozzarella, brown butter, lemon zest, and shaved garlic. The ingredients don’t sound that amazing, but I can’t even begin to describe how fabulous the flavor from the browned butter drizzled over this pizza was! And the crispy fried leaves of sage, the shaved garlic, the lemon… each bite popped with flavor, and wow that crust is incredible! 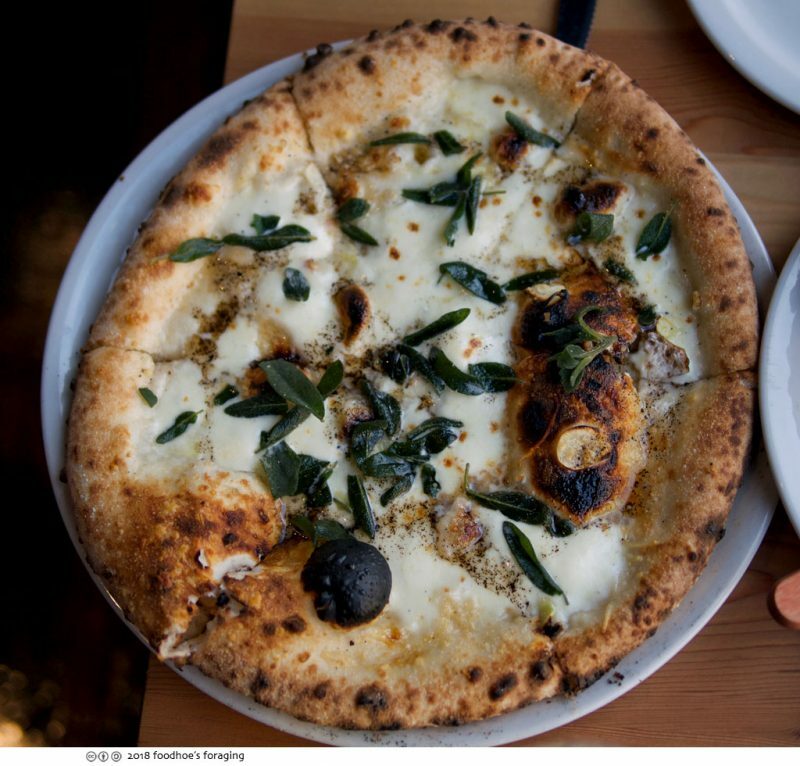 That blistered chewy crispy crust is so good, it is made with naturally leavened sourdough starter from their own wild yeast and then cooked in the wood-fired oven. 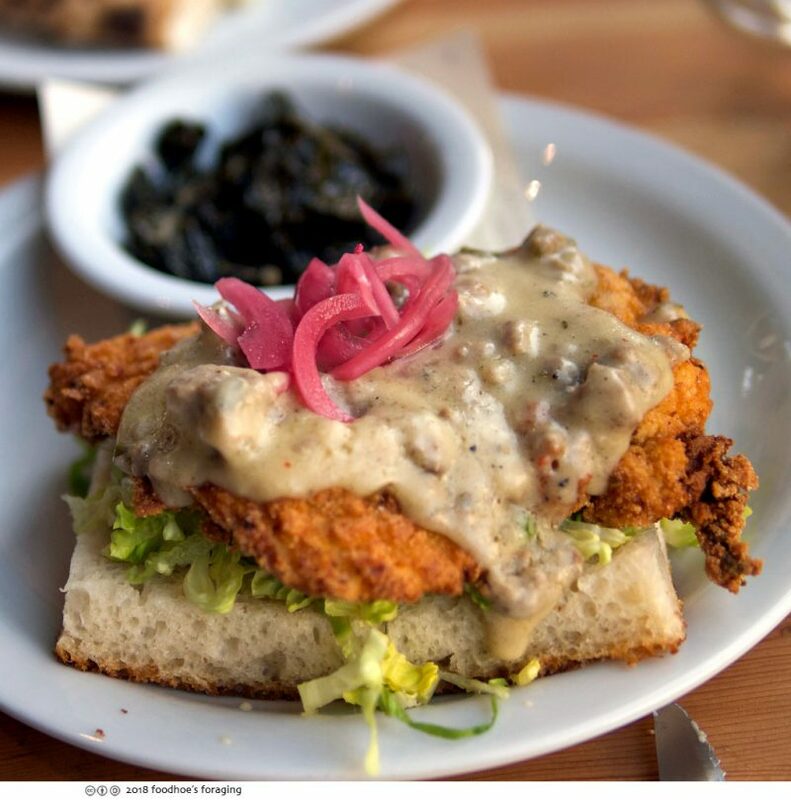 The Fried Chicken Sandwich ($12) is served open faced on focaccia, on a bed of tender shredded little gem lettuces, topped with pickled onions, and a rich savory sausage gravy with a side of braised greens. 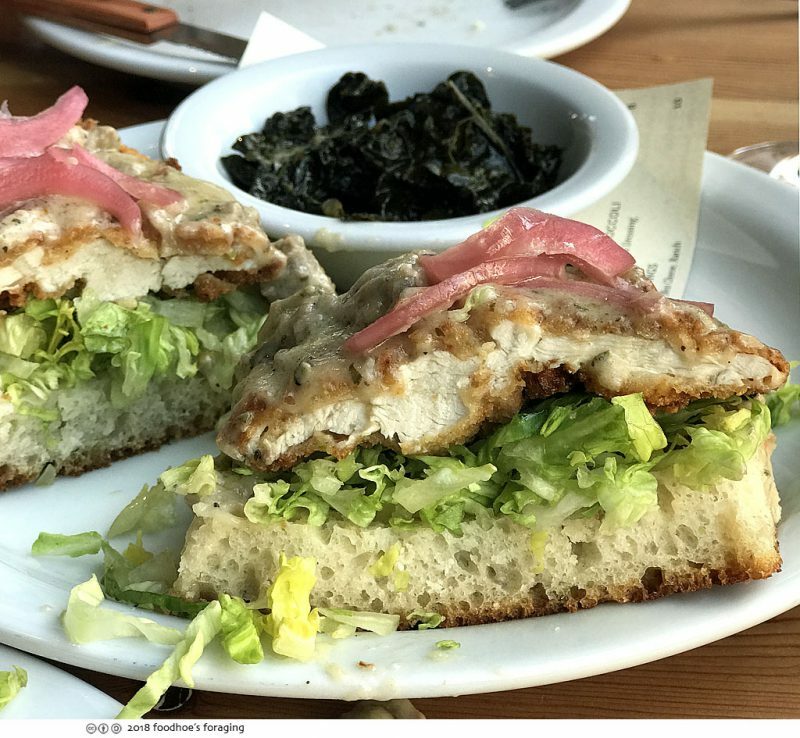 I usually prefer dark meat, but this bread cutlet was so tender and juicy and so perfectly seasoned, every bite was delicious, especially with the rich savory gravy accented with the pickled onions and crisp fresh shredded lettuce. And then I saw that they were serving brunch with breakfast pizza, which I had to come back to try because I am always looking for good breakfast spots! The Bacon and Egg pizza was absolutely fantastic! 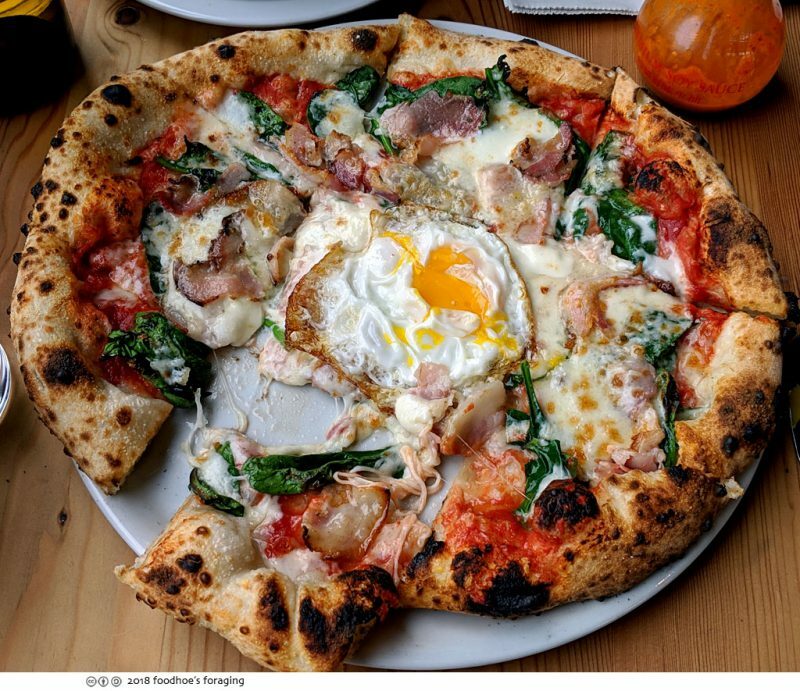 The amazing chewy blistered crust slathered with savory sauce, spinach and cheese, topped with a fried egg and luscious rich slices of bacon that just melts in your mouth. Mr. K generally leaves the ends of his crust, and I took them all to dunk into the egg yolk. 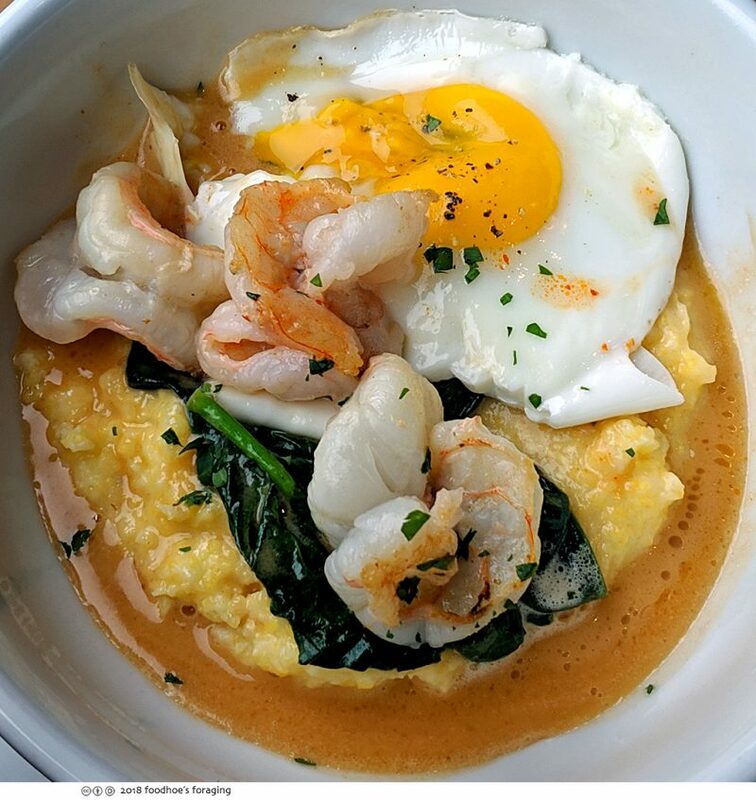 Shrimp and grits were so decadent and buttery. The shrimp was tender and succulent, the grits were rich and cheesy and we loved it drizzled with their house made hot sauce. I just love this place, am basically obsessed with their pizza, can’t wait to go back to try the pasta and definitely want to get that fried chicken and waffles for breakfast! 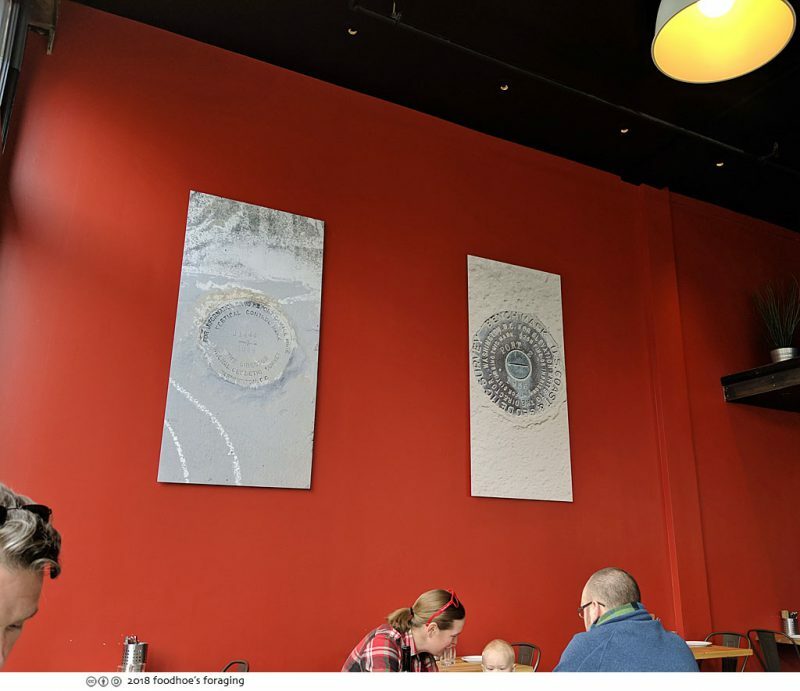 Displayed on the walls are photographs of namesake local benchmarks, photographed and framed by chef Peter, who found inspiration by their shape and their function which offer unique markers of a specific place, just like their pizza. Insta-what??? The only Insta thing I have is an Instapot. jjk….. It’s nice to have another post! Hope all is well. So glad to see a new post from you. I missed reading your reviews.